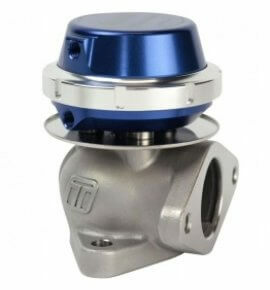 The Ultra-Gate38 is a 38mm external wastegate for street and racing applications. Designed with minimum size and maximum flow in mind, the new Ultra-Gate38 is smaller and lighter than the previous model and features Turbosmart’s unique locking collar design for quicker spring changes and a one piece, stainless steel valve. * Flanges suit 1 5/8” outside diameter tubing.